5- Darren McGregor - Hibernian - receive yellow card for a foul. 2- Scott Brown - Celtic - receive yellow card for a foul. 19- Goal! Celtic 2, Hibernian 0. Olivier Ntcham - Celtic - shot with right foot from the centre of the box to the right corner. 21- Substitution - Celtic. Scott Sinclair for Scott Brown - injury. 63- Goal! Celtic 2, Hibernian 1. 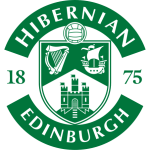 Florian Kamberi - Hibernian - shot with left foot from the centre of the box to the top right corner. Assist - Martin Boyle. 65- Stephen Mallan - Hibernian - receive yellow card for a foul. 70- Goal! Celtic 3, Hibernian 1. 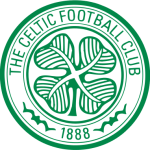 Odsonne Edouard - Celtic - shot with right foot from the centre of the box to the left corner. Assist - James Forrest. 72- Substitution - Hibernian. Steven Whittaker for Mark Milligan. 72- Substitution - Celtic. Eboue Kouassi for Tomas Rogic. 73- Goal! Celtic 3, Hibernian 2. Martin Boyle - Hibernian - shot with right foot from the centre of the box to the left corner. 82- Substitution - Celtic. Ryan Christie for James Forrest. 88- Goal! Celtic 4, Hibernian 2. Odsonne Edouard - Celtic - shot with left foot from the centre of the box to the right corner. Assist - Kieran Tierney. 87- Substitution - Hibernian. Jamie Maclaren for Emerson Hyndman.